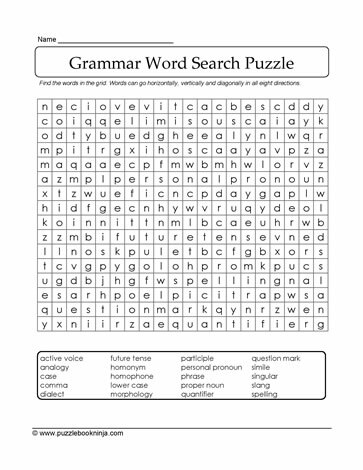 Printable word search puzzle for grammar words. Download and print to challenge classmates, friends and family. Students in grades 5,6,7 will enjoy this challenge.